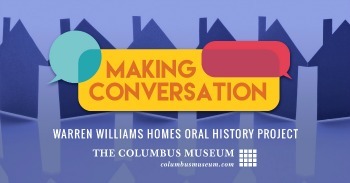 Thank you for your interest in supporting the Columbus Museum. Your gift helps the Columbus Museum serve as a vibrant source of inspiration to people of all ages through unique educational programming and exhibitions. The Museum offers an array of giving opportunities–providing both immediate and longterm impact–that allow you to direct your philanthropic support in a way that is most meaningful to you and your family. We are grateful for your support of our community and we hope that you will consider joining our efforts today; with your help, the Museum will continue to be a wonderful asset to the Columbus community. Please take a moment to review the giving opportunities listed below and discover the many ways you can support the various aspects of Museum operations and programs. 706.748.2562, ext. 542 or coverton@columbusmuseum.com.